Ailsa’s travel-themed photo challenge this week is Winter. However, for reasons that can’t be gainsaid, we are off to Florida for a week’s paddling, in regions that even WordPress cannot reach… Happy Holidays, and see y’all when we get back! This entry was posted in New York City, Photography and tagged Central Park, New York City, Photography, postaweek, postaweek2013, Snow, Snowman, Travel, Weekly Photo Challenge, Winter. Bookmark the permalink. This picture is too sweet; it gives me a toothache! :) Have fun in Florida! Happy holidays. See you on the flip side. Enjoy the warmer climes and your holidays. Thanks, Colline. Happy Holidays to you too! The joys of Winter. Have fun in warm Florida. Ah! You caught the joy & guilelessness of childhood – ultimate joy! Have yourselves a wonderful & safe Holiday in the Sunshine State! So cute and Happy Holidays in warm weather to both of you! Thanks so much! Happy Holidays to you too!! What a happy shot! Makes me want to giggle with her. Happy Winter! Happy Holidays! Have a fun and safe trip! Thanks, we will! Happy Holidays to you too!! Have a wonderful holiday and I will look forward to the posts on your return. Happy Holidays and all the best in the new year to you too!! And to you from NYC!! it’s winter again, already, I can’t believe it. Great photo, Vladimir! Happy Solstice! Happy Holidays…. What a happy photo! 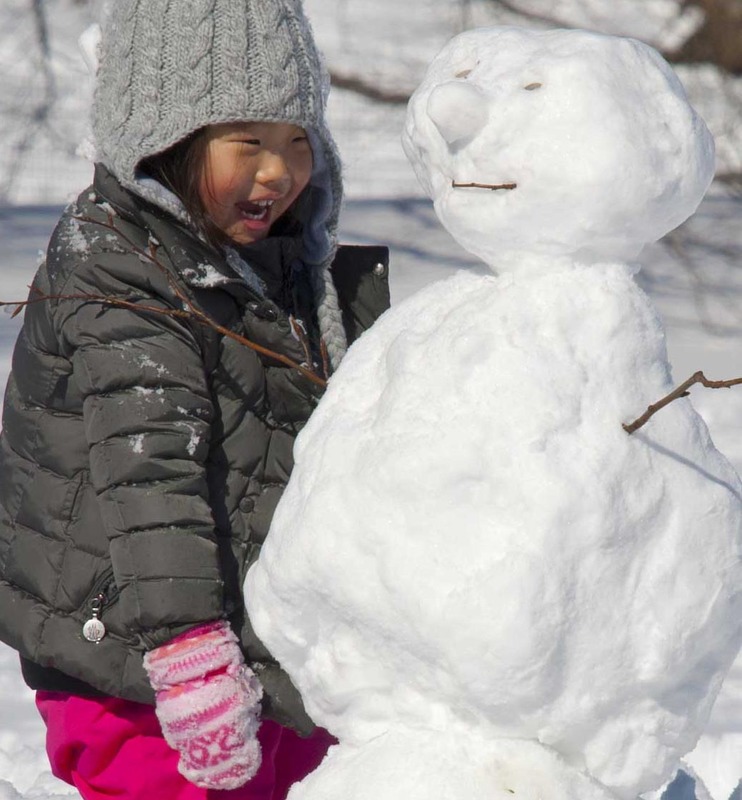 Brings back good memories of making snowmen in Central Park with my little sister. Made me smile! Thanks!! Now, some days later, we wish you a Happy New Year in return!! Have a wonderful time in Florida – can’t wait to see the pictures – wish I were there too! :-) Happy New Year—all the best in 2014 to you!! :) Have a great 2014! Thanks so much, dear Christina!! A pied-à-terre on the North Fork is indeed a lovely thing to have, for kayaking or otherwise… :-) We wish you a most happy New Year, and hope to see you back in NYC sometime very soon!! Thanks so much!! We just got back from the Florida Everglades (some photo are here) and it was indeed a treat. Happy New Year!! Lovely photo, Vladimir. Happy Holidays to you and Johna. And a Happy New Year to you, Hanna—all the best in 2014! very interesting blog , i follow you and will read you , and hope you the succeed, thanks for accepting me as a reader . Love that child’s face! What joy winter can bring! Lovely photos. Happy New Year and greetings from Montreal, Canada. Thank you, Linda. A most happy New Year to you!! Oh! I do love that picture; such a happy little chap. Happy New Year, all. A a most happy New Year to you! !